Alcohol Testing Devices in North Carolina: How Do They Work? 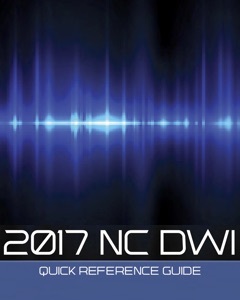 If you’d like more information on the Breath and Alcohol Sampling Devices in North Carolina, check out the North Carolina DWI Quick Reference Guide. 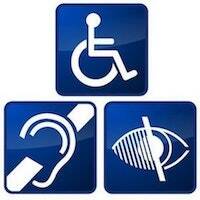 Hey, my name is Bill Powers and I appreciate you checking out our website. If you’ve got this much into the weeds, you may be a little bit interested in some of the different devices that we use in North Carolina. I got here in my hand three of them. They’re representative samples. There are other versions or types in some circumstances that are authorized. The first thing is called the AlcoSensor FST. This is often times what we see on the side of the road and used to make a determination, or what I refer to as the arrest decision, or probable cause to arrest for driving while impaired. It’s made by Intoximeters. There’s their name across the front. Happens to be the same company that manufactures our evidentiary reading device, the intoximeter and Intoximeter EC/IR II. Same company. Same general technology. The fuel cell, the bigger machine is said to be better. It does use fuel cell technology, meaning that it reacts to the molecule of ethyl alcohol or ethanol in your mouth. They’re the same thing. It creates an electrical current. We measure the electrical current and it gives us a reading. Now this reading that shows on the screen, it’s a two-digit display. Some of them have three-digit displays. When I say some of these different devices, if you’ve seen the old handheld AlcoSensor devices, it’s not supposed to be used for the purposes in court to give a number. The officers can look at it and say, “Yes, it’s positive or negative for alcohol.” I smelled the odor of alcohol. I had you blow into this. I confirmed confirmational type of testing that there was indeed alcohol in your system and it wasn’t something else in your breath that smelled like alcohol, or whatever that may be. 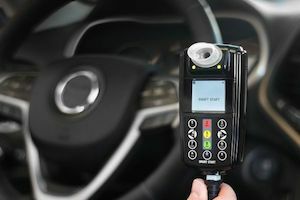 The ignition interlock device is one made by Monitech. This is one of three providers in North Carolina. There are different companies that provide these devices. We often times see these in restoration of license issues. 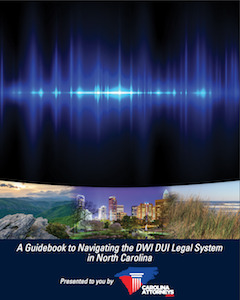 If you have a .15 or higher in North Carolina and you’re otherwise eligible, if you want to be able to drive around, you’re going to have to have the ignition interlock device installed after a waiting period. That’s what we’re talking about. Then, you may hear of the CAM, or the SCRAM, S-C-R-A-M. They’re the same things. CAM stands for Continuous Alcohol Monitoring. SCRAM stands for Secure Continuous Remote Alcohol Monitoring. All three use the electrochemical fuel cell. All of them use the measurement of a current that’s created when you blow onto a platinum black plate fuel cell. They think it’s from the reaction of hydrogen interacting with the platinum black and discharging one of its free electrons. Yeah, it’s that level of dorky. I’ve got all these devices. I often times have people, a lot of guys stopped by yesterday just wanting to know, “Hey, if I’m convicted, can I wear this in order to avoid jail?” There are possibilities for that in certain upper-level DWIs in North Carolina if I want to get my license back. “What about this? Can I use this instead?” These are normally used by the clients. These tend to be used by law enforcement. Love to help you. I love to answer questions. That’s why our telephone number is 704-342-HELP. My name is Bill Powers. 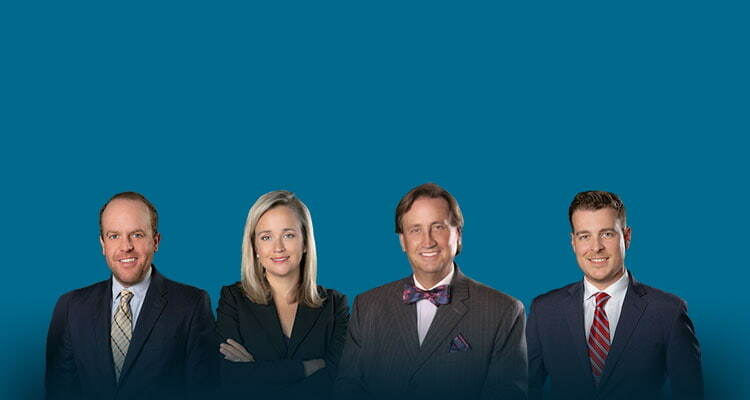 Name of the firm is Powers Law Firm, and I’d really love to talk to you about these individual devices in North Carolina.